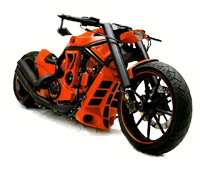 We specialize in custom paint for motorcycles, cars, & trucks. Our computerized color matching system enables us to reproduce any color under the sun. After an accident, we’ll work directly with your insurance company to restore your vehicle’s appearance and performance to pre-accident condition. Our custom motorcycle restoration work has been featured in many national publications, including the cover of Cycle World Magazine. Russell's Paint & Body, LLC is a family-owned and operated collision shop serving Asheville, NC. For more than a decade, we have provided customers with full-service vehicle repair and restoration services, including frame straightening, scratch and dent removal, and custom paint work. After an accident, you can trust us to provide you with honest advice and high quality repairs to get you back on the road. We also provide a written warranty for work performed at our shop. If you’ve been in an accident, it’s important to take your car to a shop that has the right tools to handle the necessary repairs. Otherwise, you could find yourself behind the wheel of an unsafe vehicle. 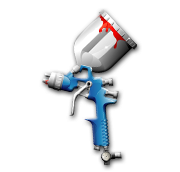 Our dealer-recommended shop uses cutting-edge equipment to accurately and efficiently identify vehicle damage. For example, our computerized laser measuring system and state-of-the art frame rack will ensure your vehicle meets vehicle frame specifications. With our oversized heated paint booth, we are one of the only auto shops in Buncombe County that can accommodate commercial trucks and fleets in need of paint and collision repair. We are also one of the only shops in the area that offers complete motorcycle repair, custom paint, and graphics application. We use a computerized color matching system that allows us to reproduce any color under the sun. Most people are not involved in enough accidents to know exactly how to handle vehicle repairs. Insurance companies give advice, but that advice is usually based on their best interests and bottom line. The situation becomes even more confusing when shops give potential customers unreasonably low estimates to win their business. Then when the bill comes, the cost is much higher than the original quote. At Russell's Paint & Body, LLC, we promise to give you accurate pricing upfront. 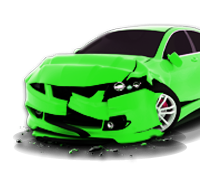 We will also deal directly with your insurance company while we’re repairing your car. The law does not require you to get more than one estimate for car repairs, nor do you have to take your car to your insurance company’s suggested repair shop. It’s your car, it’s up to you! If you have more questions about insurance, we can help. Russell's Paint & Body, LLC is proud to be based in Swannanoa, NC, about 15 minutes from Asheville. Our customers come from all over western North Carolina, including the communities of Swannanoa, Asheville, Black Mountain, Fairview, Old Fort, Ridgecrest, Montreat, Marion, Arden and Fletcher. We are located at 610 Old Lytle Cove Rd, near Ingles Warehouse and the KOA campground. If you’re looking for quality paint, refinishing, or collision repair in the Asheville area, bring your car, motorcycle, or commercial truck to Russell's Paint & Body, LLC today! We’re open Monday through Friday from 8 AM to 5 PM. 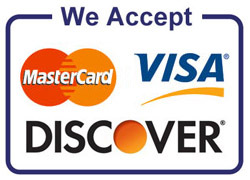 You can also contact us through our website or call (828) 686-1313 to make an appointment at our shop. We offer free estimates! Serving Swannanoa, Asheville, Black Mountain, Fairview, Old Fort, Ridgecrest, Montreat, Marion, Arden, Fletcher, and surrounding areas.